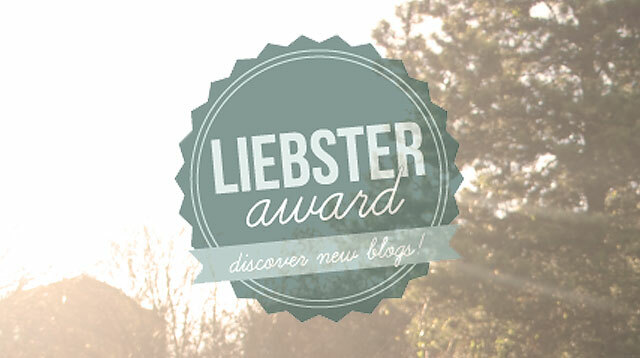 The Liebster Award: an award given to bloggers by other fellow bloggers in light of introducing them to the rest of the blogging world. It serves as a welcome and call for other writers to discover new blogs that might spark their interest, plus it helps the audience learn about the blogger a lot more. Generally, the Liebster Award is presented as a chain of nominations and award acceptances. Bloggers nominate, those nominated can choose to accept or decline the award and then nominate others if they choose to accept, and so on and so forth. I first heard about it when dbushra, Bushra Dualeh, nominated me and quite honestly, it caught my attention because it was not only a sweet gesture but a very cool way to explore the interests of those behind such amazing blogposts. I started a blog for a number of reasons actually. I like sharing my experiences with others because I really want others to gain something from my passages, you know? Whether that be a thought, an idea, encouragement, or even a question. My ‘About Me‘ page explains why I began a blog, a lot more clearly and smoothly. All in all, I want to give back to others as much as I can. If someone happens to understand different mindsets and explore unique concepts, that still counts as giving back because I really do try to share the ‘not so common’ angles of life. Have you ever been through something life changing that brought you closer to Allah and Islam? Indeed, I have. Depression. It completely dominated me and at one point, I was completely exhausted and decided to make a move. All my worries were lifted through prayers, trust me. Depression that stretched for a year does not take little to recover from but miraculously, Allah the Almighty cured me within days. Days, not even weeks. That was my turning point in life and it made me realize that there is a Divine figure Who indeed is whom I should be trying to gain nearness to. I wrote about my experience quite a few times actually, feel free to read about them if you are interested: Metamorphosis, My Hijab Story, and A Faded Rose. What are some qualities you look for in people to take as friends? Quite honestly, a friend is a very honourable title and if someone considers you a friend, be very flattered. In my opinion, friends are those who are understanding, truthful, caring, thoughtful, generous, and trustworthy. Not many people out there can be labelled as friends, believe me. Friends are those who stay up at night speaking to you; keeping you company, when you are feeling a little low. Those who make sure you are feeling better before hanging up the phone or walking away till the next time you meet. Friends who hear your story and judge fairly, are golden. Those who would give it to you straight and advise you about your wrongs and then suggest how to fix them too. Those who go down with you even if they have nothing to do with anything you have done. Most importantly, I think the greatest quality a friend could have is the drive to make you a better person in and out. Oh boy, this is a tough one. I eat anything and everything, literally. I have recently started to love sushi though, like a lot. Well, the kind that is stuffed with veggies instead of raw fish meat. I have a soft spot for all the fruits, vegetables, meat, and grain out there. Truthfully, it is the idea of my passing before pleasing Allah the Almighty. Cheesy perhaps but definitely true. I cannot stand the thought of God the Great frowning upon me; unbearable. I have too many to pinpoint; they all carry their own significance differently. One verse of the Holy Qur’an does tend to stick with me though: “Allah has set a seal on their hearts and their ears, and over their eyes is a covering; and for them is a great punishment,” [2:8]. This verse hovers above those who disbelieve in Allah the Almighty and it frightens me enough to push myself to never be one of those people who believe not. Hah! Married, working, and hopefully, successful. I am a bit of both I suppose. I have my moments where I can be super duper timid and quiet but then again, I can be the most talkative and comfortable person around too. Anywhere, really. I love everything there is to admire about a particular place, whether that be the architecture, the vehicles, the greenery, the bodies of water, anything I tell you, hah. Knowing that I had the strength to overcome a weakness, knowing that I put in all my effort for a certain cause, knowing that my parents and brothers are at ease, and knowing that I will be okay no matter how hard life hits me. Other than that, mother nature plays a huge role in plastering a smile onto my face. First thing that popped into my mind was my body weight. Got to lay off some pounds, oh goody. Who is your number one inspiration? If you could say one thing to the people of the world before you pass, what would you say? Which season would you prefer all year long? What toppings do you like on an ice cream sundae? If you could rewind time and relive a moment, which moment would that be? What is your absolute favourite movie of all time? Would you ever like to be a famous celebrity? I look forward to reading their responses, cheerios! On a side note, these questions are open to anyone who wishes to answer them. I may be breaking the rules here but hey, can’t blame a girl for being open and curious. Plus, if you want to answer one, go for it ’cause I don’t want to be the one stopping you. I would suggest tagging me in your response though, I would love to read it. Next Next post: Where Am I Now?